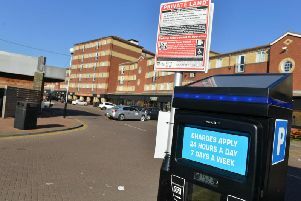 Hartlepool Borough Council is running the free parking scheme. Shoppers are being offered free Saturday parking in Hartlepool town centre in the run up to Christmas. The offer runs until December 22 and covers all Hartlepool Borough Council-managed car parks and on-street parking in the town. This is the sixth successive year that Hartlepool Borough Council has decided to waive charges in a move designed to boost town centre trade and ease the burden on financially-squeezed shoppers. The town’s multi-storey car park which is usually closed on Sundays, will be open on December 9, 16 and 23.